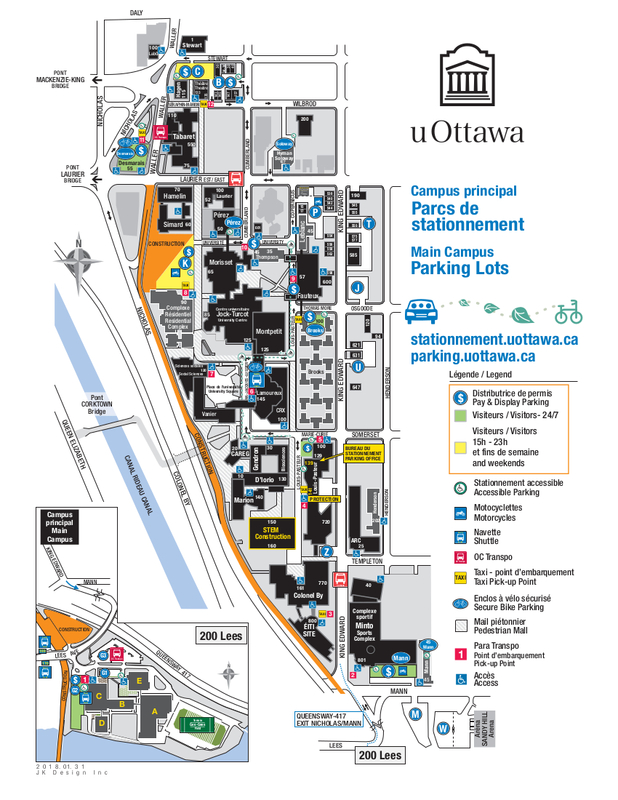 Here you will find a selection of the official campus maps, available as printable PDFs. 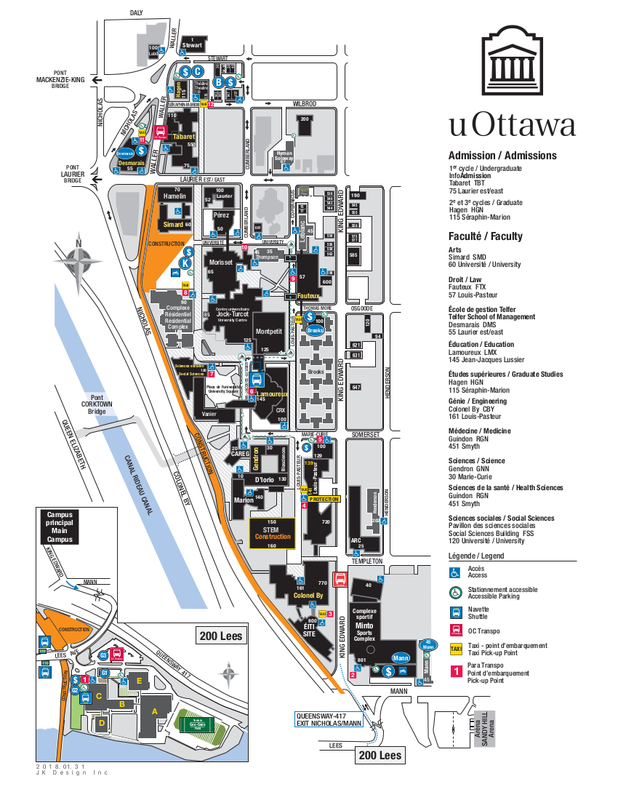 For the uOttawa online map, please visit maps.uottawa.ca. For an interactive map of the construction on campus, please visit our Projects & Construction page. 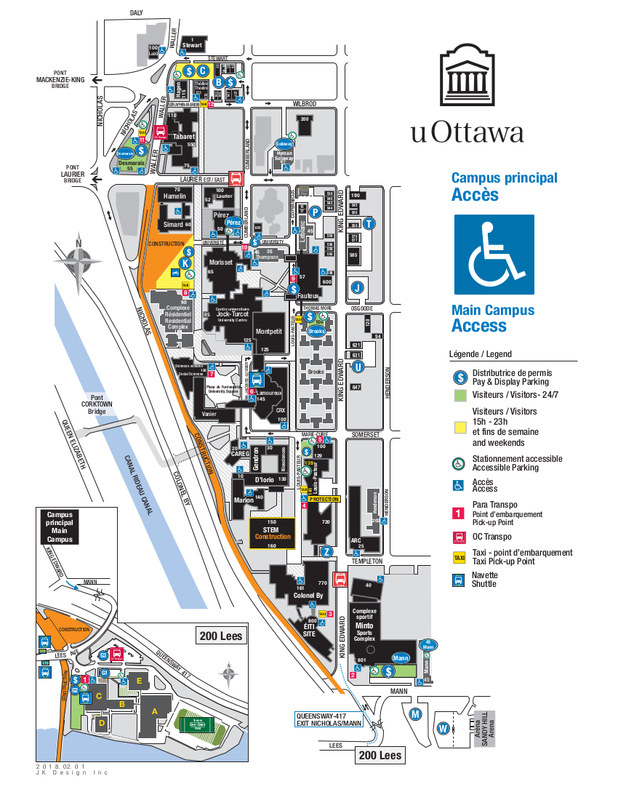 The “Accessibility Map” highlights accessible entrances, ramps, elevators and access routes; the “Faculty Map” features a helpful legend and useful faculty addresses; and the “Parking Map” emphasizes campus parking lots and transportations pick-up spots.